In his watercolours, artist Tytus Brzozowski reimagines the Polish capital’s urban landscape – Warsaw as it was, Warsaw as it might have been, and Warsaw how it is now. 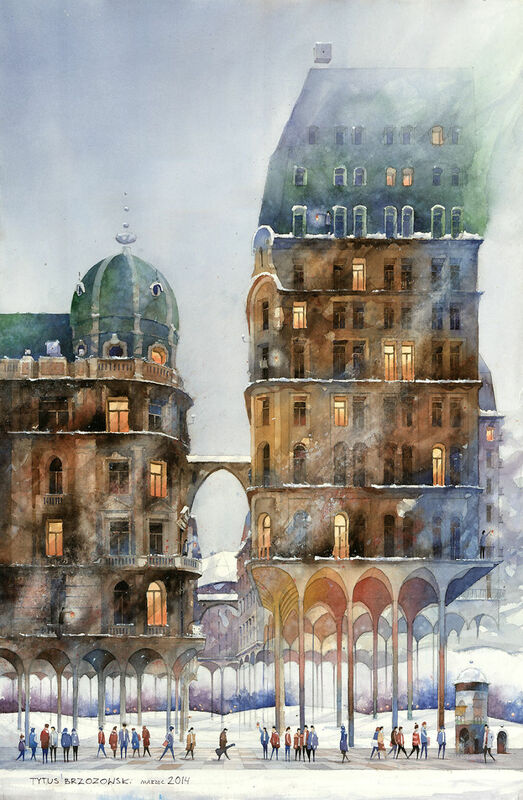 The cityscapes combine Brzozowski’s penchant for architecture and painting. 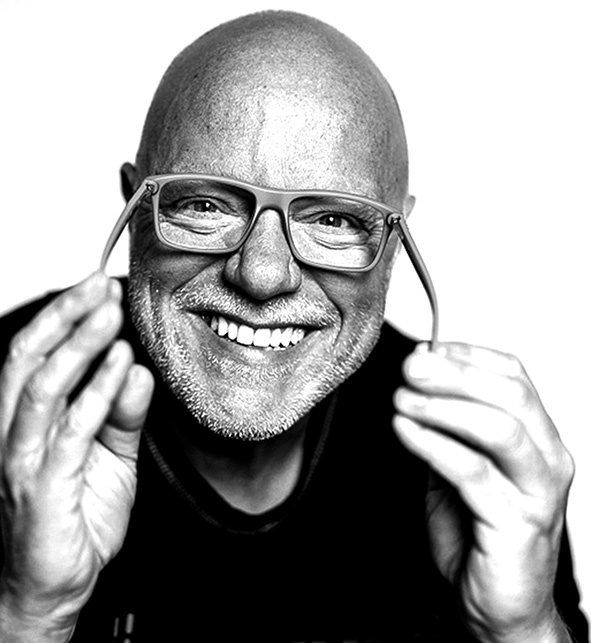 After graduating from the Faculty of Architecture of the Warsaw University of Technology, he worked at award-winning Polish architectural office Jems Architects. Now, he paints. Bursting with cheerful colour and detail, his paintings juxtapose old and new, like in Warsaw itself. Tenement houses, rooftops, trams and even skyscrapers combine to create a dreamlike panorama. 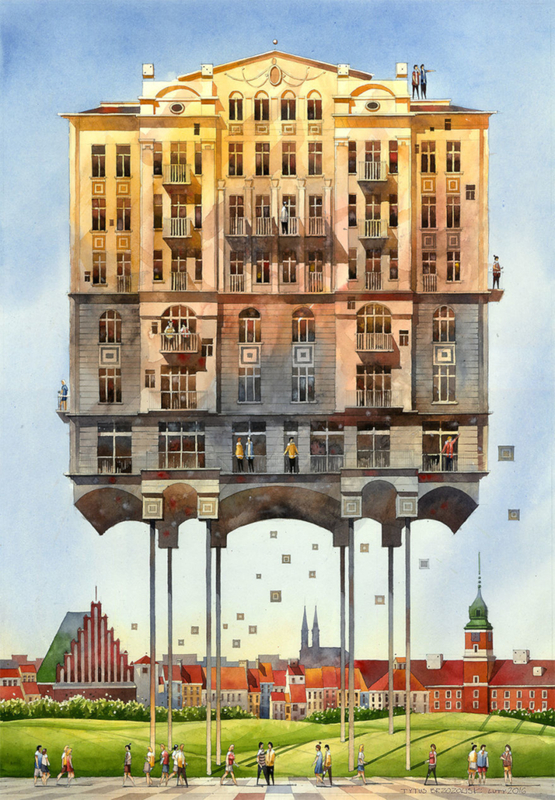 A characteristic feature of Brzozowski’s cityscapes are buildings raised above street level on stilts. This, he explains, allows him to combine features of the 19th Century city, such as densely-packed tenement houses, with elements that were often lacking: greenery, sunlight and recreational space. Brzozowski admits that his paintings are imbued with a certain nostalgia. People are important too, peppering the streets and rooftops of Brzozowski’s paintings – “to show that the city should be alive”, as he puts it. Each painting begins with sketches, often drawing on old photographs of the Polish capital. Then Brzozowski draws an outline in pencil, before adding pigment using watercolour. Brzozowski recently completed a bigger project: a mural in Warsaw’s Wola district, which was unveiled this summer. Rising to 35 metres, the mural covers an entire wall of the Spark office complex, not far from the Warsaw Uprising Museum. 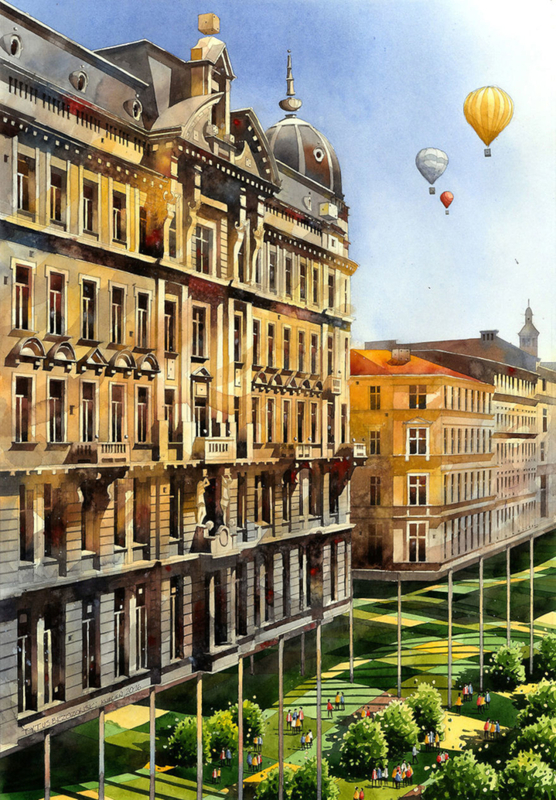 Painted in Brzozowski’s characteristic style, it depicts historical local buildings that no exist, along with more recent ones, like the Palace of Culture and Science in the distance. Now another mural is in the works, in Warsaw’s Praga Południe district on the eastern side of the Vistula – though Brzozowski won’t reveal exactly where. It will combine references to the centenary of Polish independence with local elements, he says. Brzozowski’s paintings can be viewed and purchased via his website.